It’s amazing to see how far photography has come in less than 200 years. It is even more amazing to realize the change in our perception of it. A recent exhibit at the International Center of Photography featured the works of photography pioneer, William Henry Fox Talbot. Talbot, the brilliant innovator of the negative process and paper prints, used his camera to give viewers a glimpse of the world around him. His street scenes and shots of people in their own environments captured in time a moment that has long past. 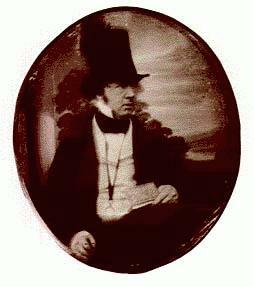 “Fixed forever in the position which it seemed only destined for a single instant to occupy”, Talbot observed in 1839. The viewer experiences vicarious presence, the sense of being transported to another place and time. In May 2002, at the Museum of Television and Radio in NYC, viewers were transported to the battle scarred environment of Afghanistan through the Digital HD (high definition video) magic of Peter Arnett’s “Afghan Journal”. Particularly resonant were the picture of an old man’s craggy face and a dusty desolate image, where the only color was the beautiful scarves of women carrying water. To experience the piece, was in a small way to experience Afghanistan. In December 2002, James Cameron’s “Expedition Bismarck” was screened at the National Museum of Natural History, including a fifteen minute segment, which was presented in 3D HD. This amazing use of technology takes us three miles under the sea to the wreck of the battleship Bismarck. Not everyone has the courage or the resources to travel to Afghanistan or the bottom of the sea but through vicarious presence they feel that they do. “Expedition Bismarck” was produced by the Discovery Channel, and has been screened on their new HD channel, “Discovery HD Theater”. Currently, Digital HD technology creates a new way to experience the phenomenon of vicarious presence. High definition imagery has a great power to establish vicarious presence, which is not easily recreated with film or standard definition video. This rapidly evolving technology has become increasingly popular for television and feature movie production. This technology has been in development for years and is considered tried and true by the practitioners and producers involved in its production. The practical application of vicarious presence is easy to appreciate in a museum environment but the power of vicarious presence can easily be used to enhance the power of documentaries, travelogues, and corporate media. Vicarious presence has the ability to enhance and enrich the lives of many individuals, especially those for whom travel is difficult or impossible. HD can make the world a smaller place and expand our horizons. It has the ability to take the viewer’s attention on boundless flights of fancy, where the soul soars and the body aches.